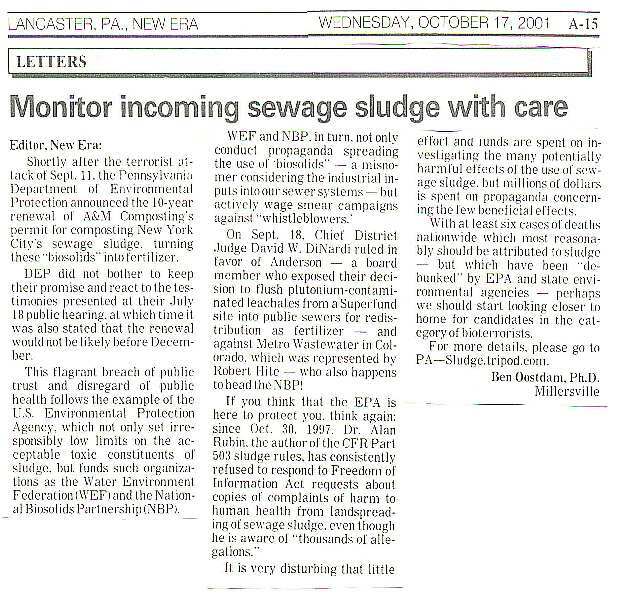 from: "Bioterrorism by biosolids" to: "Monitor incoming sewage sludge with care". (1) the task has been delegated to the sludge spreaders, not unlike having the fox guard the chicken house. are too high compared with European limits - in the case of Cadmium as much as 30x as high. caused by sewage sludge applications. We should be warned and prepared about this important issue. to conduct propaganda in favor of biosolids.